Today we take you to the Chinese manufacturer Vandy Vape to discover a new bottom-feeder box: The Pulse Dual. Want to know more ? Well, let's go for a complete presentation of the beast. 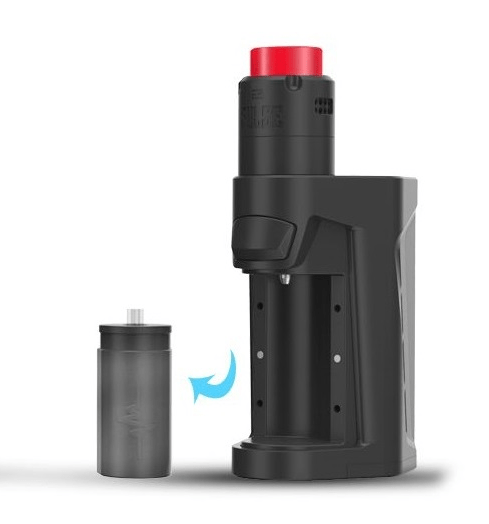 PULSE DUAL: A POWERFUL, PRACTICAL AND RELIABLE BOX SQUONKER! Vandy Vape is neither a surprise nor a new kid on the market! Indeed, over time the Chinese manufacturer has won the trust of the vape market by offering innovative and well-designed products. Today we present you the latest one: The Pulse Dual box. Entirely designed in zinc alloy and PEI (Polyetherimide), Pulse Dual is an electronic box designed for bottom-feeder use. 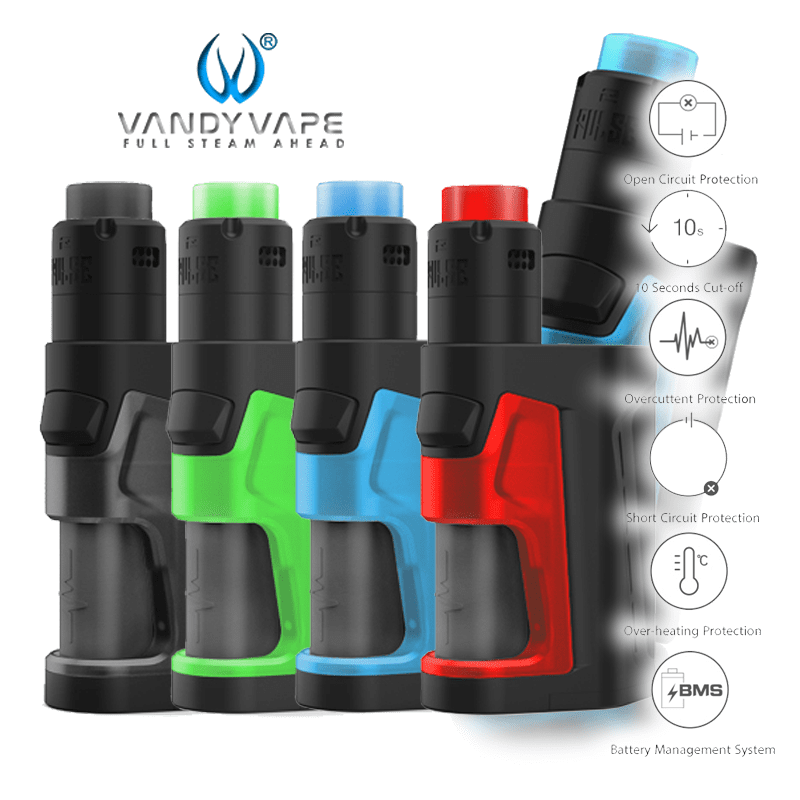 Aesthetically close to the old models, Vandy Vape nevertheless attaches great importance to the design and comfort of use, the Pulse Dual will be a success in this sense because it is ergonomic, simple and practical. Moreover, it significantly reduces its size compared to the previous model while increasing its autonomy: a real feat! On the main facade of the box there will be a large Oled screen, two dimmer buttons and a micro-usb socket for recharging. The switch will be on the other side just above the bottle of squonk. Operating with two 18650 batteries, the Pulse Dual box will have a maximum power of 220 watts. There are many modes of use including variable power, temperature control (Ni200 / Ti / SS316L) and bypass. 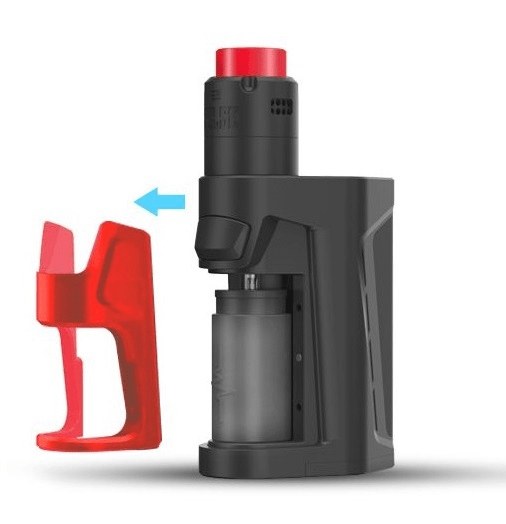 The Pulse Dual will come with a silicone squonk vial that holds up to 7 ml of e-liquid. This one will be very easily accessible for filling, removing the colored polycarbonate cover. We will obviously find an 510 BF connection needed to connect a suitable dripper. Speaking of atomizer, you will also be able to opt for a complete kit including the box Pulse Dual but also an atomizer: The Pulse V2. Totally dedicated to a sub-ohm vape, the Pulse V2 is a dripper type atomizer entirely designed in stainless steel. Measuring 24 mm in diameter and endowed with a deep tank of 2 ml, it will adapt perfectly to the box of the same name. The Pulse V2 dripper has a large plate that offers the possibility to make single or double-coil assemblies, even with thick resistive wires. Equipped with an innovative air-flow system with 3 setting rings, the Pulse V2 offers you a wide range of draw options. Finally this one will be equipped with a 510 BF connection and will be delivered with a 810 drip-tip in colored resin (adapted to the color of your box). Type : Recompressible atomizer type "dripper"
The new box « Pulse Dual »Par Vandy Vape is now available for 85 Euros approximately in kit with the atomizer Pulse V2.